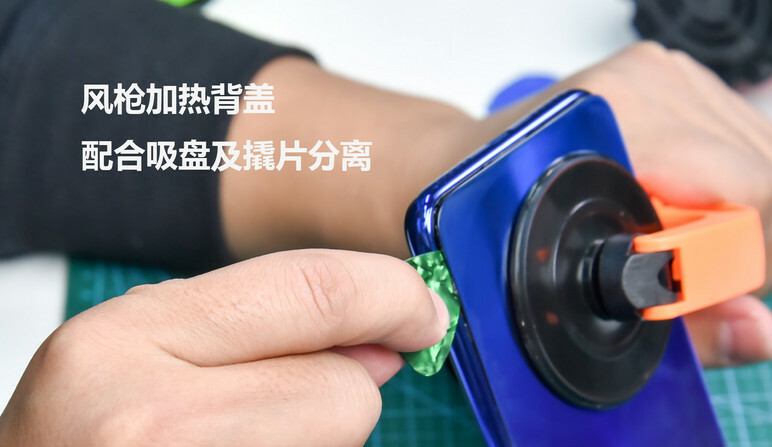 On January 10, Xiaomi launched its first smartphone – the Xiaomi Redmi Note 7. On the product conference, Xiaomi’s CEO introduced the new phone. Xiaomi’s new phone features a 6.0-inch screen, and it is powered by Snapdragon 660AIE. 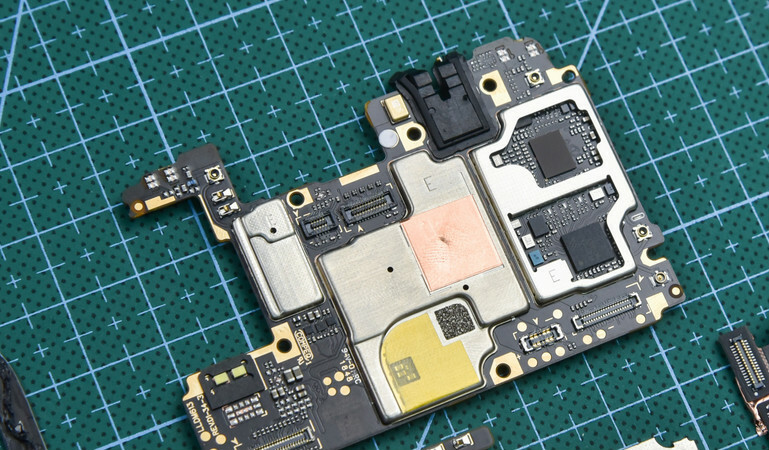 Let’s explore its internal structure of this new phone. 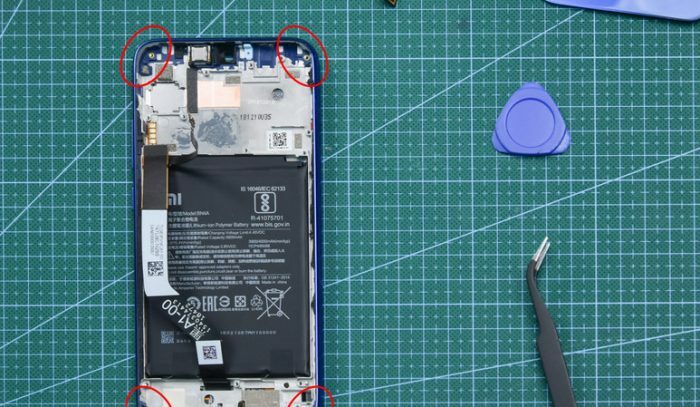 First of all, remove the SIM card tray after powering the phone off. 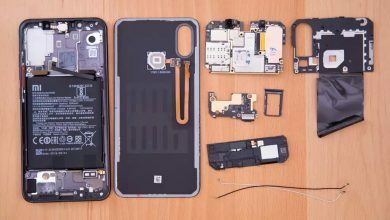 The user can use two nano SIM cards or a SIM card + a micro SD card. Heat the four edges of the phone with a heater. Use a sucker and a plastic clip to remove the back cover. Take out the back cover. 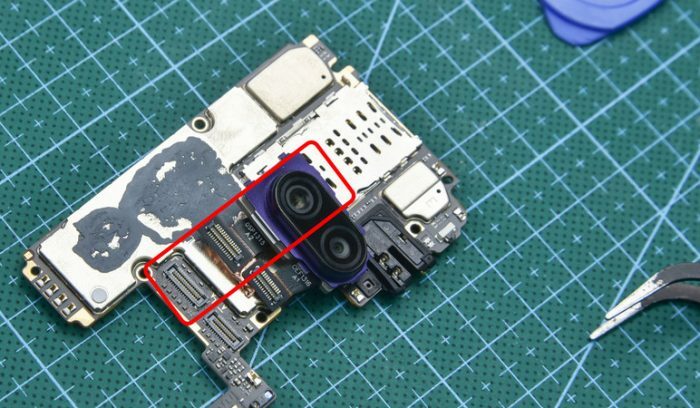 The cable of the fingerprint reader is still connected to the motherboard. 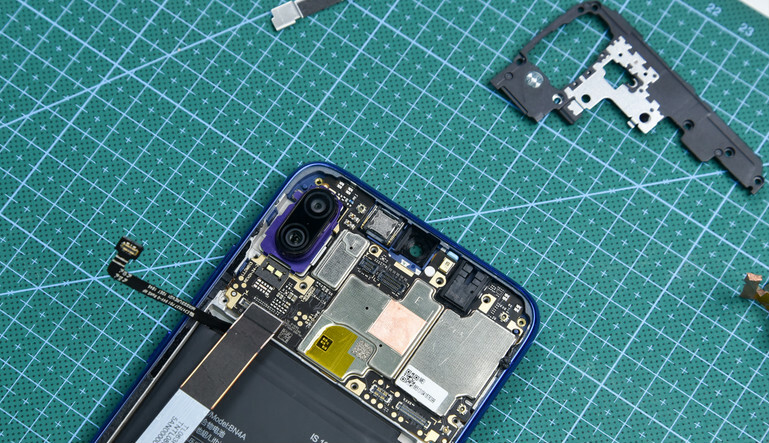 Removing the cover, and the cable can be disconnected. 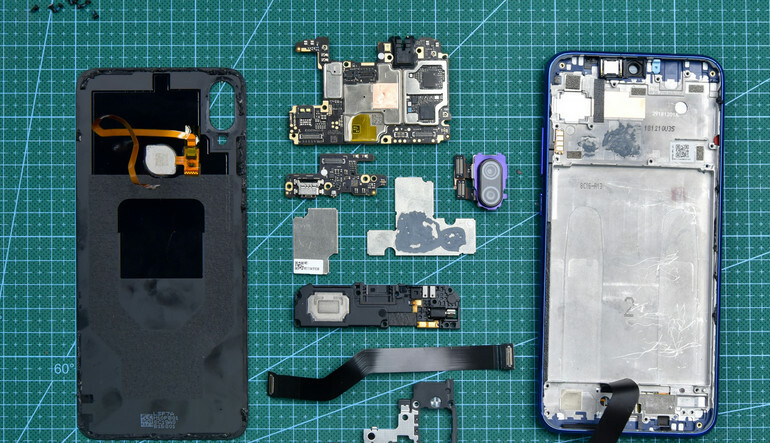 The smartphone adopts a classic three-stage internal design. 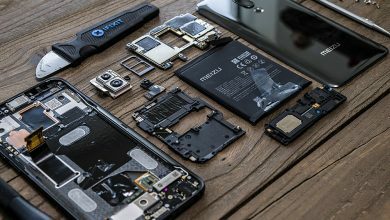 It includes a motherboard, battery, and a nice board. 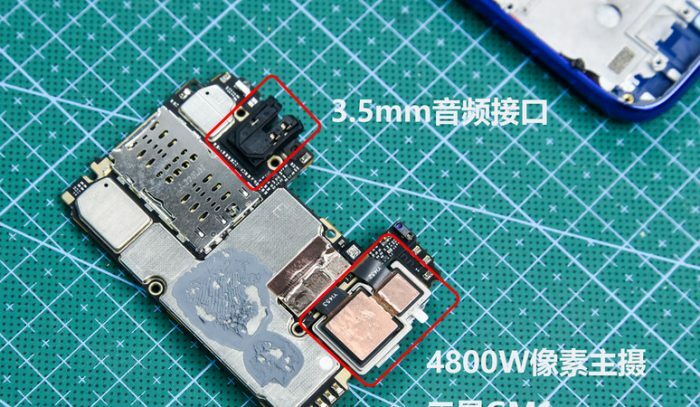 Remove the battery and disconnect all BTB connectors. Then take out the motherboard. The buttons on the middle frame are connected to the motherboard via the contact. 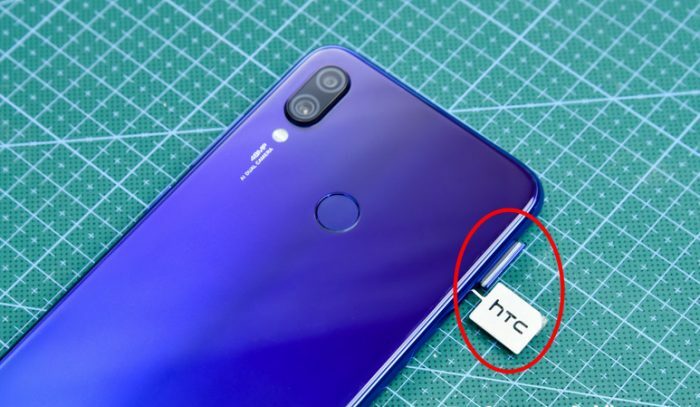 The rubber around the 3.5mm earphone port is used to prevent water and dust. And the 48MP and 5MP dual cameras are placed on the back of the motherboard. 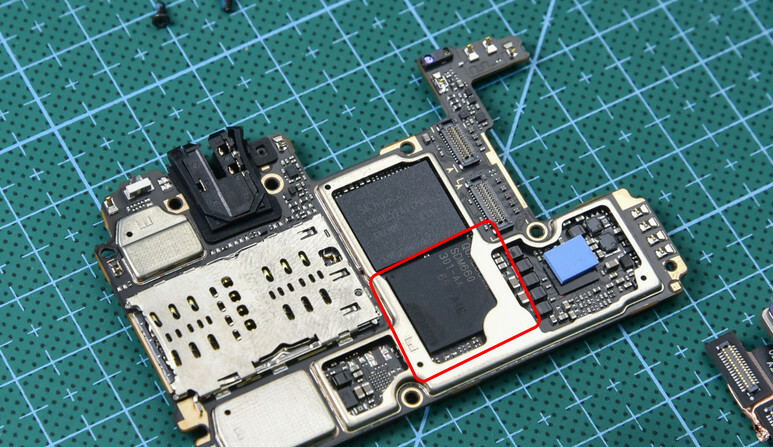 We can see the two sides of the motherboard. 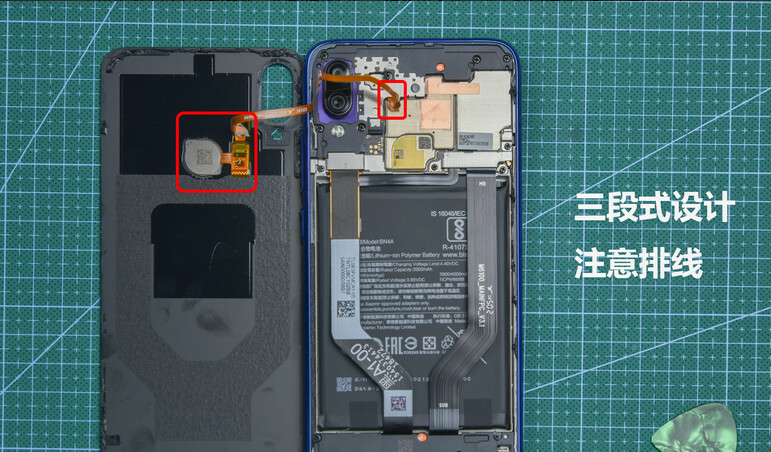 Uncover the metal shield, we can see the Snapdragon 660AIE processor and the memory chips – Hynix 6GB RAM and 64GB ROM. Next, we can see the vice board. 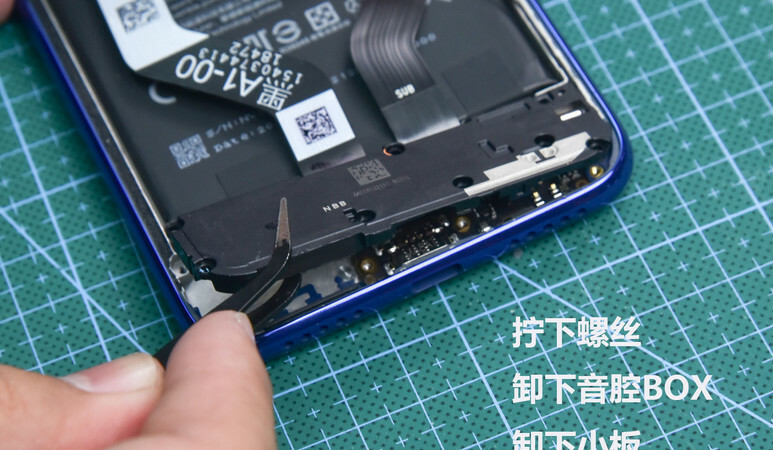 Remove the screws, and then the speaker BOX can be taken out. The motor on the right of the speaker BOX has common performance. The middle frame uses plastic material. 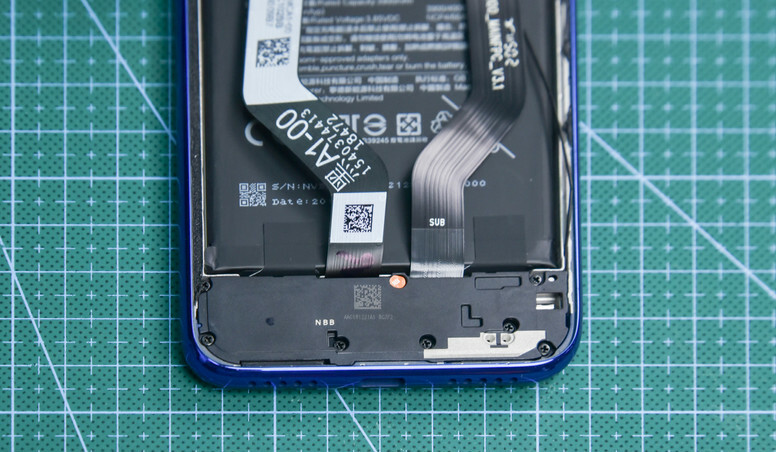 Four edges of have been thickened to better protect the phone. 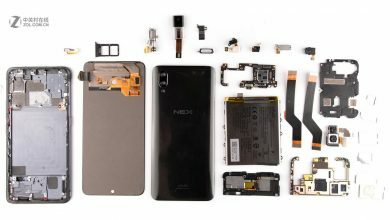 Here are all the components of the Redmi Note 7. 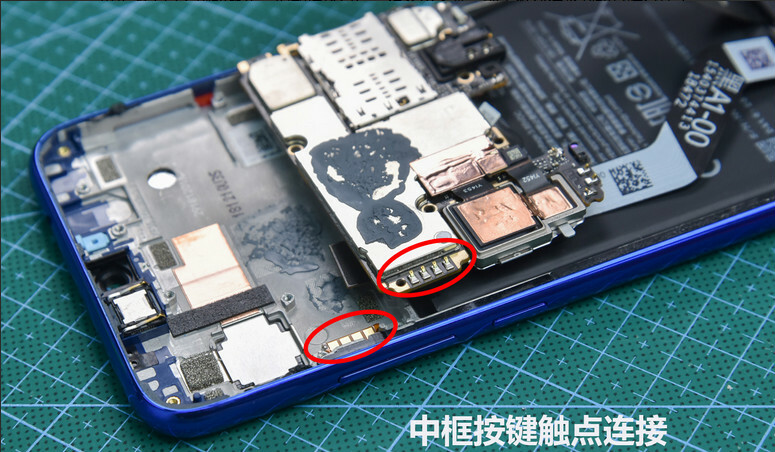 Apart from its high specification, this new phone also has a good internal design. It has better craftsmanship than many other products at its level. In general, the Redmi Note 7 has a high-cost performance.